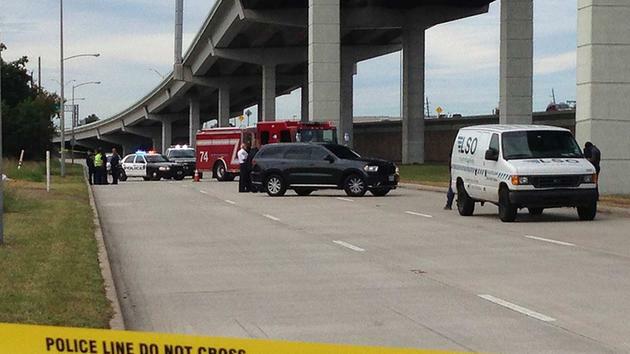 A postal worker fell to his death on Beltway 8 near the North Freeway. Houston police got the call just before 10am Friday. Witnesses say they saw something fall from the beltway and bounce off the ground. When they stopped, they saw that it was a person. Police have not released his identity. He was off duty when he jumped or fell. Read more: Postal worker jumps to his death from freeway overpass in North Houston | abc13.com. Probably given a justified under time pivot he wasn’t man enough to complete. They say he was off duty when he jumped in the text but the video says he was delivering mail…. So sad….hope is wasn’t job stress! hope he made scan before jumped and died , otherwise a letter of warning coming his way. That’s so sad, may he be at peace. May this fellow postal worker RIP. May the sensationalist media just go away. Unless he was walking on an expressway while delivering mail and got hit by a car, which he of course wasn’t and didn’t, his profession has absolutely nothing to do with this story. Stop trying to manufacture ‘reality TV’ news. My friend and fellow coworker seen him jump off the overpass. He was driving by when it happened. He jumped he didn’t fall.